For Social Factory you can buy memberships which grant you permissions like adding more friends, joining groups or adding videos. 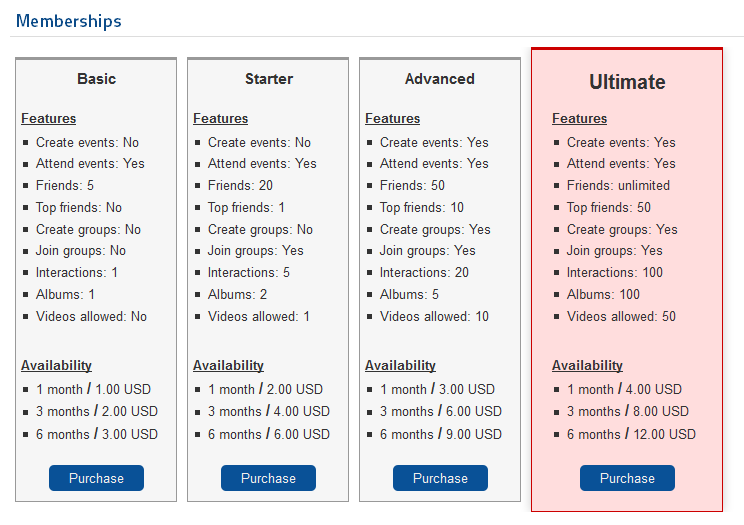 You can add more types of memberships with different properties and you can also add different prices for various periods of availability. 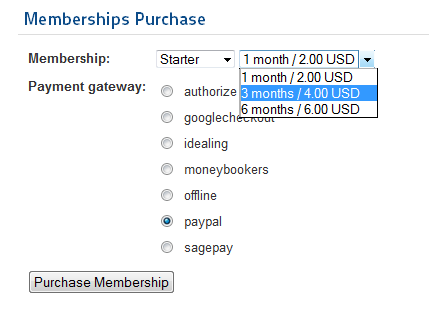 By going to Memberships on the users menu you can check all the available Membership Plans. Click on Purchase to buy a membership plan. 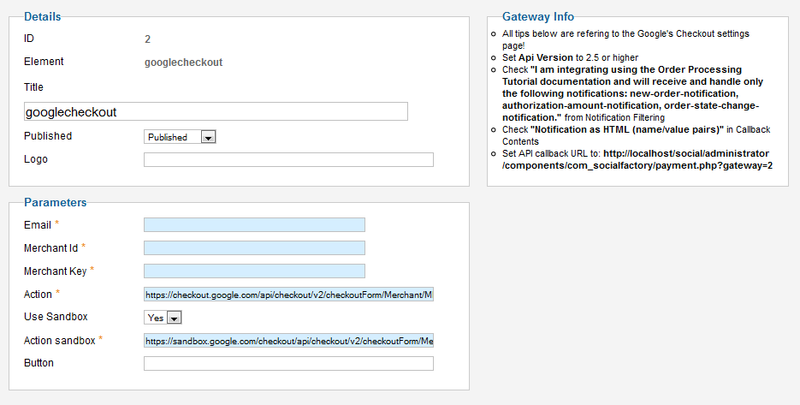 On the next page you must select the payment gateway used for payment. On the last step you must confirm the purchase, click on Buy Now to do so. After the payment is received by the site and the order is confirmed, your new membership will activate. 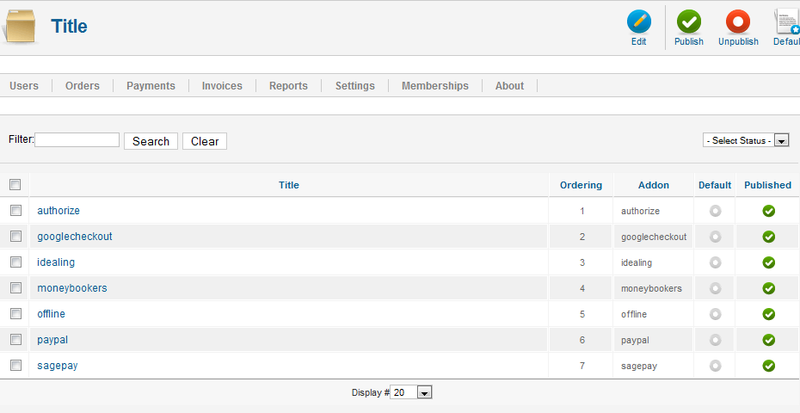 By going to "Orders" in the backend you will see the membership orders. You can manually set order statuses if required. Orders can be confirmed automatically based on the gateways used, the respective payment processor must support IPNs (Instant Payment Notifications). In the "Invoices" tab you can check the invoices for all the payments and you also have the option to export them as ".csv" files. 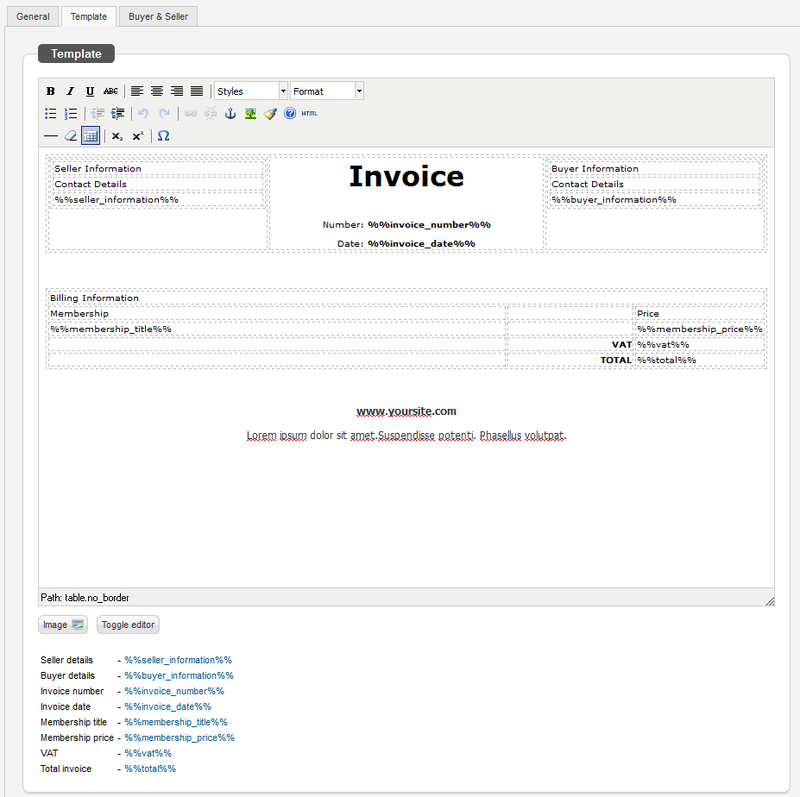 Next tab allows you to edit the Invoice template. The last tab allows you to change the details for seller and buyer on the invoices using 2 text editors. 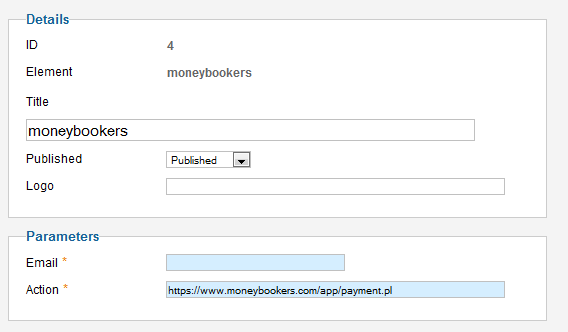 Social Factory comes with 7 payment gateways already implemented, by going to Settings and clicking on Payment Gateways you can enable, disable or edit them. You can add a logo, title and to enable it or disable it. Below you have to add the required parameters. You can add a logo, title and to enable it or disable it. 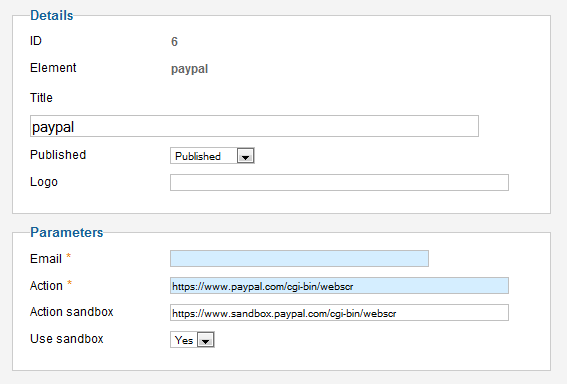 Below you have to add different parameters like a merchant id, key or the option to use a sandbox. You can add a logo, title and to enable it or disable it along with the required parameters like merchant id, sub id and hash key. 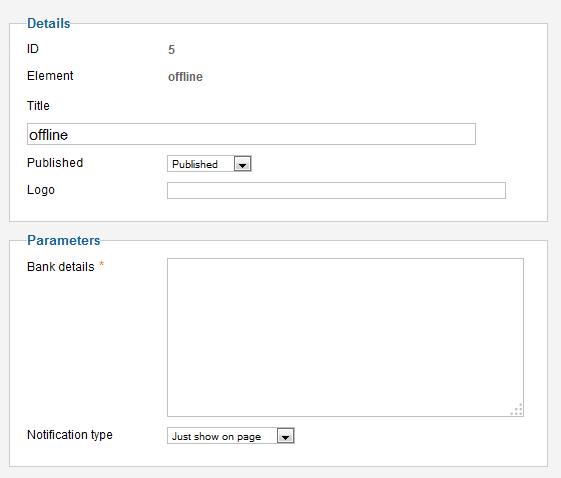 You can add a logo, title and to enable it or disable it along with the required parameters like email and action. For offline payment you will have to add bank details and optional settings like changing the notification type send to the user, adding logo or changing the title. You can add a logo, title and to enable it or disable it. 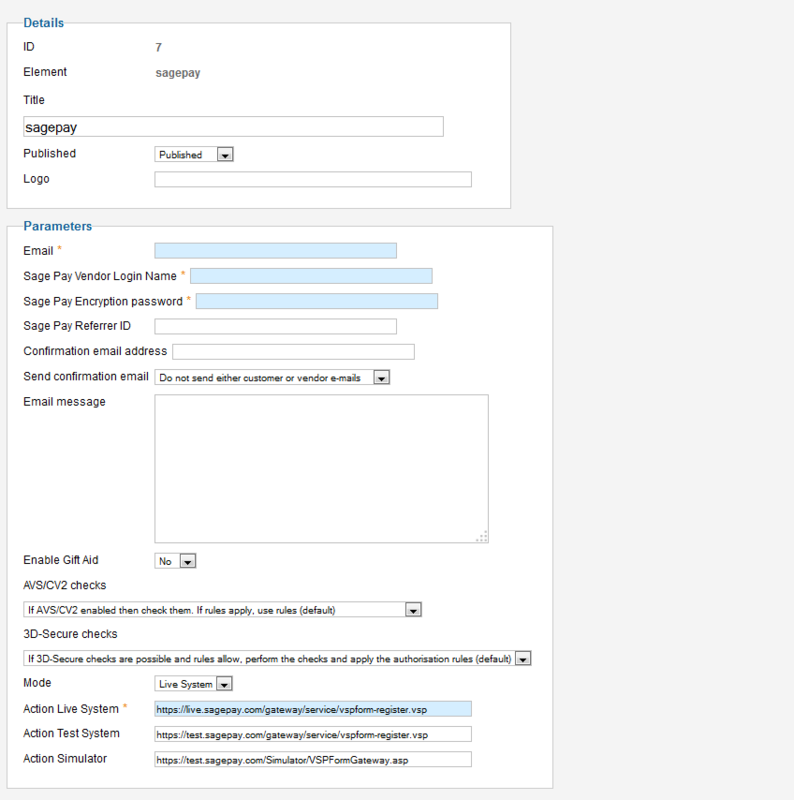 Below you have to add the required parameters like email or the option to use a sandbox. 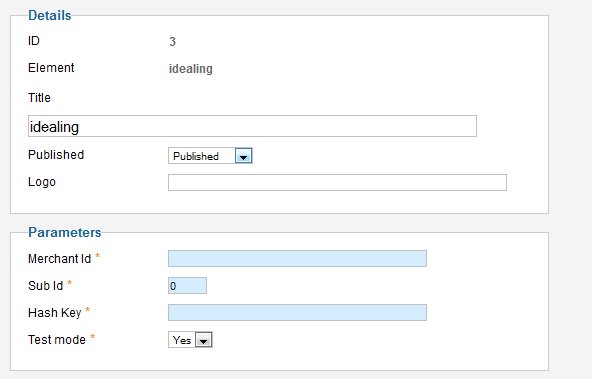 You can add a logo, title and to enable it or disable it along with a multiple parameters available for this gateway.